The Maxi Controller and sensors are the magic that no other light offers. DimLux separates from the rest by providing a full suite of environmental controls driven by precise data collected in your environment. The ultimate grow light available today. DimLux. Using the DimLux with a Maxi Controller enables you to plug the DimLux directly into a wall socket without needing an intervening relay, time delay unit or time switch – which saves you costs. 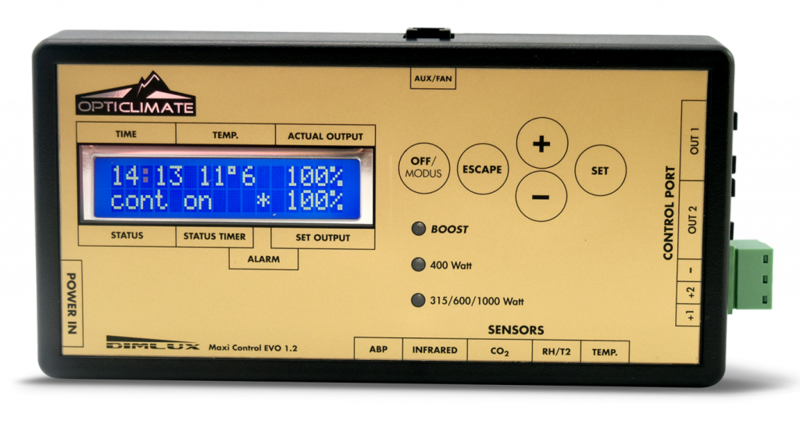 A DimLux controlled by a Maxi Controller is the only (digital) ballast that does not need to use an inrush current. 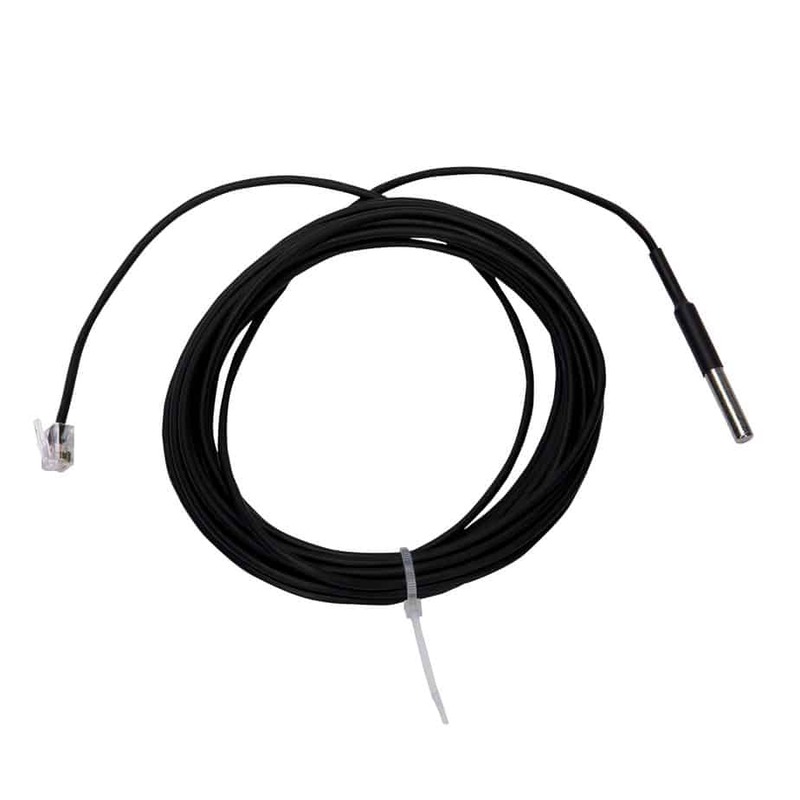 Inrush currents of conventional (digital)ballasts vary between 50 and 160 Amp, while newer types of digital ballasts use soft-start technology that limits the inrush current to between 50 and 60 Amp – which is still an appreciable current, especially when multiplied by the number of (digital) ballasts incorporated in the circuit. 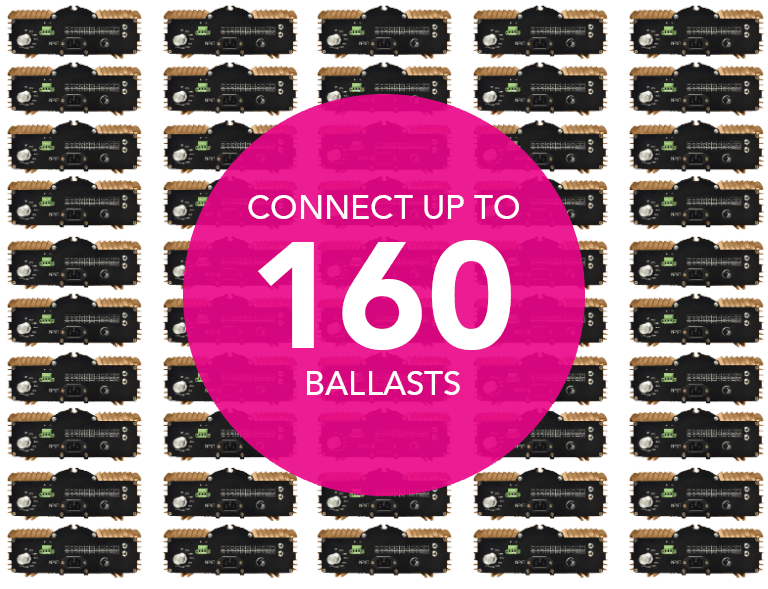 A maximum of 160 DimLux ballasts can be connected to 1 Maxi Controller. 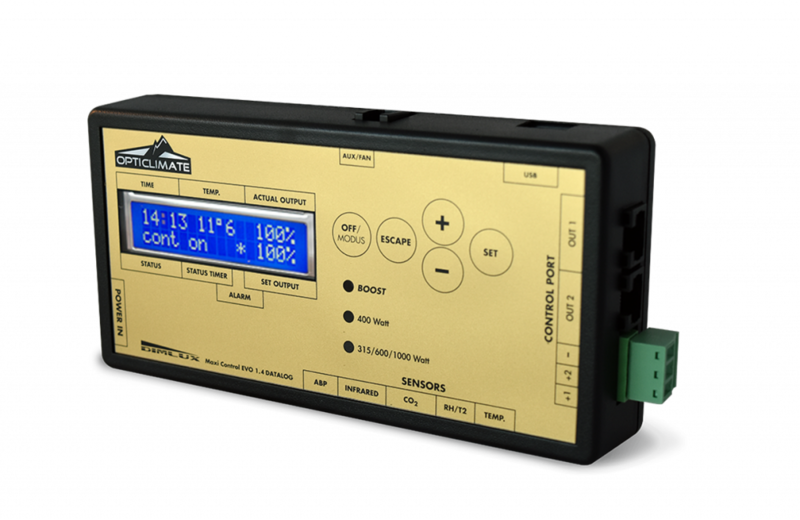 The Maxi Controller can adjust the output according to the ambient temperature. 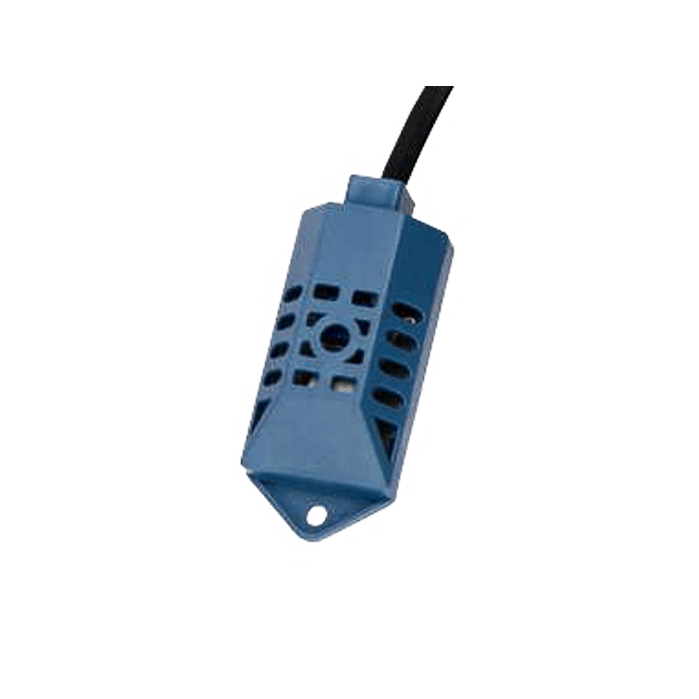 The lamps are dimmed automatically when the temperature exceeds a maximum predefined level. 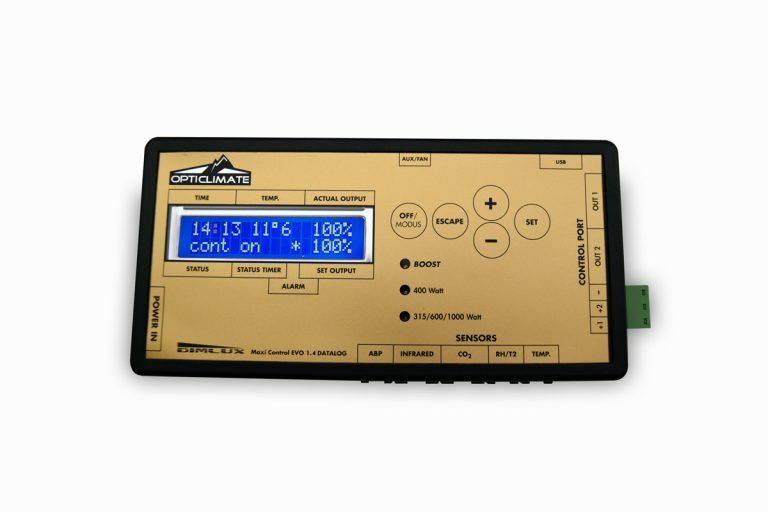 DimLux ballasts used in combination with a OptiClimate Maxi Controller also offer many other functions and options. 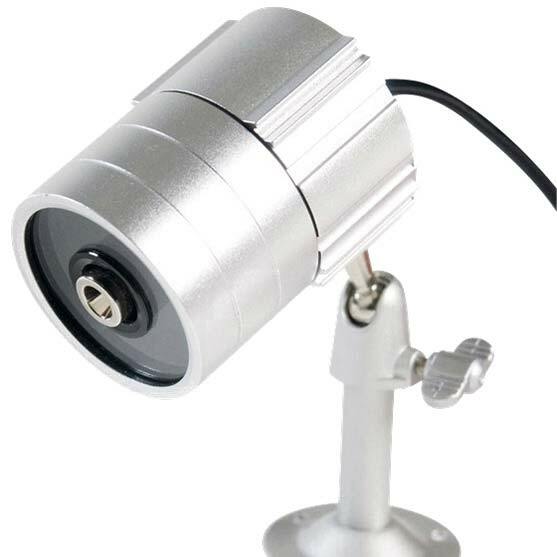 The OptiClimate plant temperature camera can be connected to the system to keep an eye on the evaporation of the crops. A too high plant temperature is a sign that the plant is possibly evaporating, for example when there is not enough water or an overdose of light. In this situation, the DimLuxes are dimmed or turned off to bring the plant temperature back to an acceptable level.